Welcome to the School of Dramatic Art, home to some of the nation's leading theatre programs, taught by award winning faculty, and housed in a state-of-the-art training facility, renowned for its high-quality training of actors, theatre artists, and educators for almost 50 years. 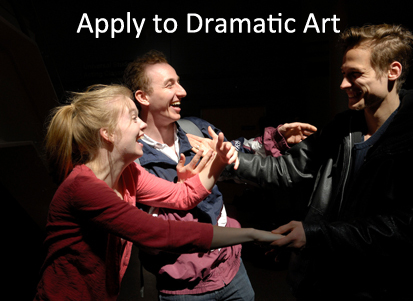 Dramatic Art offers you a welcoming community and a thriving and energized student experience that will challenge and prepare you for a lifelong career as theatre artists, teachers and arts leaders. Excellence in instruction, together with varied and experimental approaches to teaching create a spirited student-centered environment where potential is nurtured and developed. 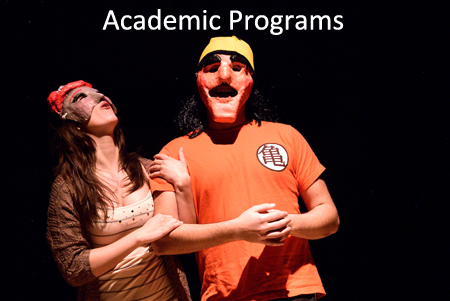 Experiential learning is at the core of all of our programs providing hands-on learning experience and foundational skill sets that prepare you for a multitude of career choices in the theatre industry and related professions. You'll dive right into the production of theatre in your first year by contributing to our six show season produced by University Players, the school’s theatre company. Relatively small classes and easy access to professors make possible the kind of personalized attention and individualized approach to studies that provide an unforgettable university experience.